Fall weather in my zone (9b) can be pretty hot (above 90F) and that’s a problem because I want to get a jump on preparing for the winter garden. 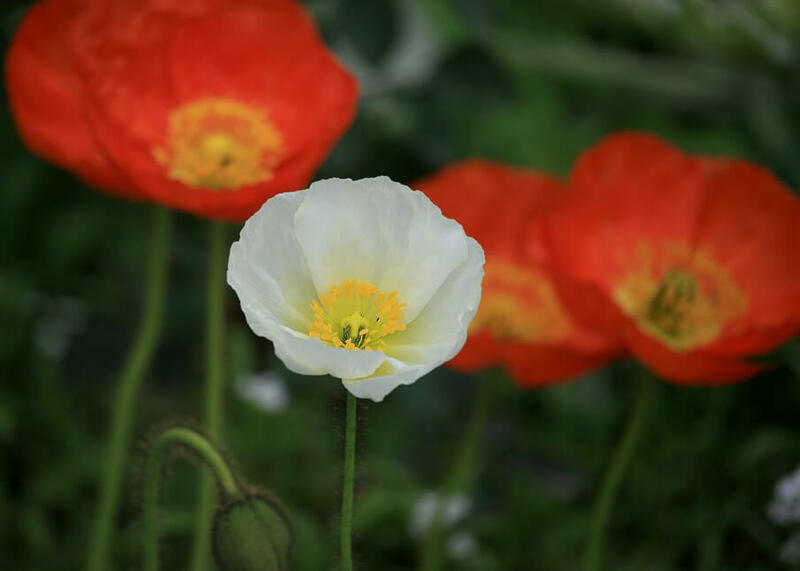 Many plants that will be quite happy when temperatures dip below freezing in the winter, will burn up in early fall weather if they are not temporarily protected from the autumn sun. Some flowers I’ve planted recently: Snapdragons, Iceland Poppies, Dianthus, Chrysanthemum palusodum, ornamental kale and cabbage. 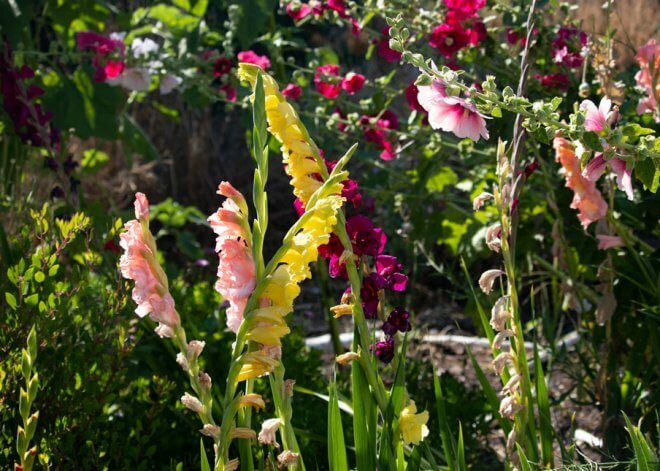 Snapdragons really don’t like hot weather transplanting (they grow best from seed) and Iceland Poppies are a close second. 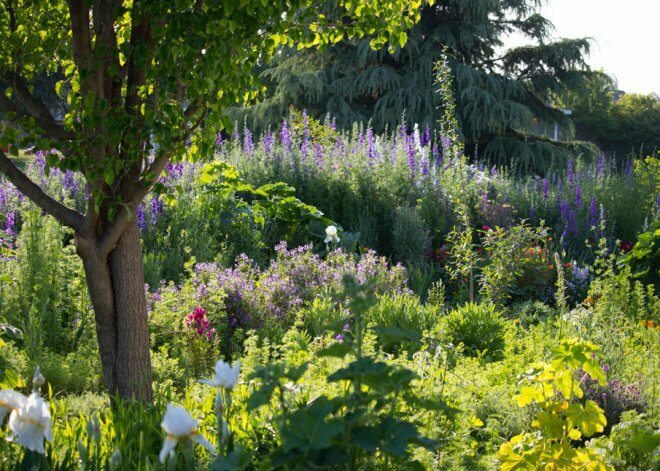 When possible, select plants that are not overgrown for their container or root bound. They are already stressed. Plant right away. 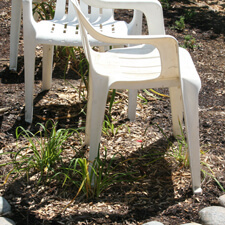 Don’t let plants languish in the shade or worse, get stressed sitting in the sun. Fully saturate the container before planting. Transplant early in the morning, or ideally in the evening so the plant has time to settle into its new location before it’s hot again. 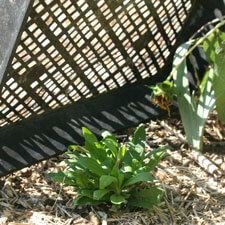 Provide shade until plant is established – meaning that it can be exposed to the sun without wilting. 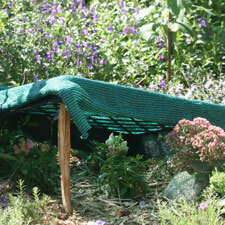 Provide a light mulch to shade the soil. I usually lightly scatter some bone and/or blood meal, some coffee grounds (free from Starbucks!) and a light layer of old, dried and shredded wildflowers. If snails/slugs are a problem, be sure to protect your new transplants. I put copper scrubbers around each plant (especially delphinium, lupines and anything else loved by slugs/snails), then sprinkle Sluggo. I also also finish with a sprinkling of red hot chile pepper flakes. This is to both kill snails/slugs, but also to keep cats from eating the Sluggo and from digging (they love freshly dug dirt). Read my tips on protecting your plants from slugs/snails and on how to keep cats out of your garden beds. Do not be tempted to drown your new transplants with water to compensate for the weather. If they are wilting, they do need at least a daily drink of water but in hot weather that typically isn’t enough. Their root systems have not yet adjusted to their new surroundings. You can use whatever you have on hand to provide some light shade. To make it easy to create mobile shade, I cut shade cloth and stapled it to flats. They are easy to prop up anywhere in the garden. In larger areas, I’ve put up stakes to hold up shade cloth and attached with binder clips. With small transplants (like from a 6-pack), usually just a couple days or so is adequate for transition. For bigger plants in hot weather, I’ve done it longer. For example, in June I planted two Arabian Lilacs (Vitex trifolia ‘Purpurea’) which was a little late in the season. I kept lawn chairs over them for a couple of weeks to be sure they were happy because it took a while for my local nursery to find them for me and they were spendy. Lastly, do I recommend transplanting in hot weather? No, not really. It’s only for the impatient gardener like myself who is willing to put in the time to ease the shock of hot weather transplanting. 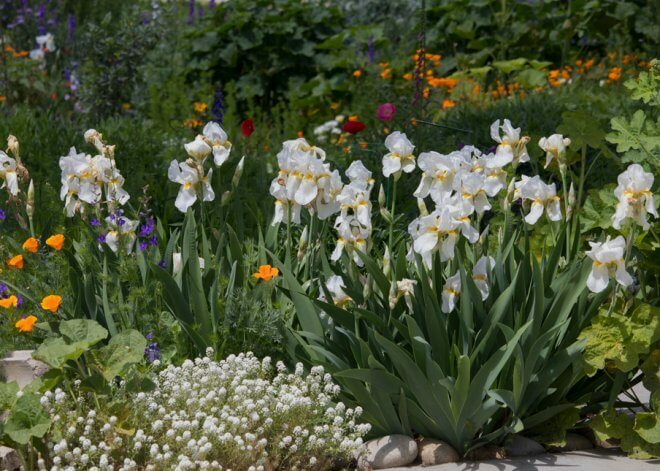 Do you have any tips that make hot weather transplanting more successful in your garden? I would love to hear from you – please leave a comment below.